Uniforms in Chennai – Houskeeping !! Here is a unique pattern of houskeeping shirt made for a five star category of hotel in chennai. For further enquiries on uniforms and other textile and garment products get in touch with us at 044-25386319 or call us at 9176634635. 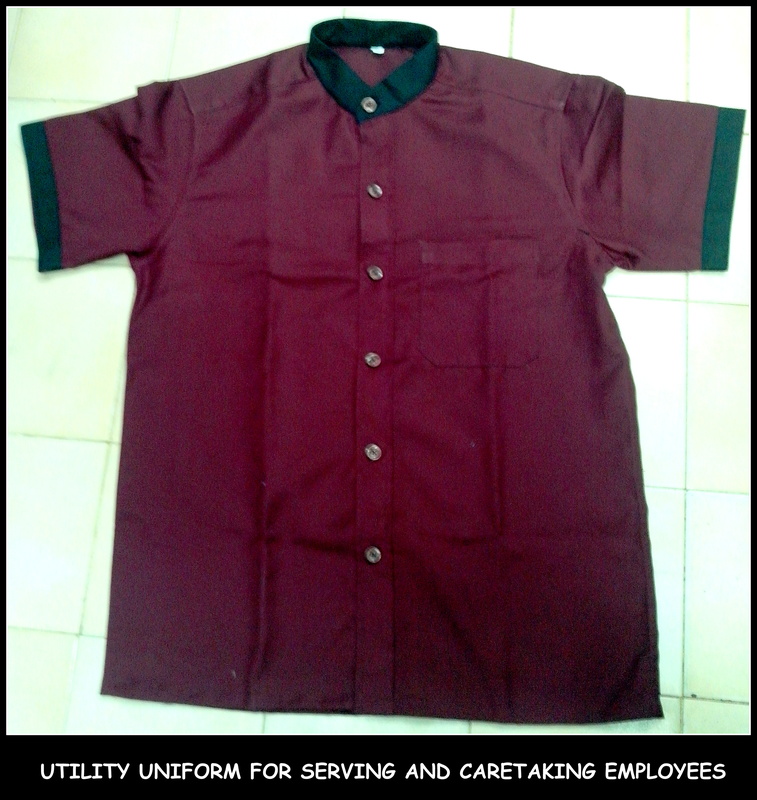 Round collar utility uniform shirt for care taking staffs in Chennai !! Caretakers and utility boys generally are soft spoken in nature and the best things that would make them look more professional in there work is chinese collar shirts with different combinations of shirt color and contrast combination on the sleeves and the collar. These utility uniforms shirts are similar to half sleeve shirts with only difference in the round chinese collar and the buttons are little bigger than the usual shirt buttons. For any questions related to uniforms in chennai call us on 9176634635. 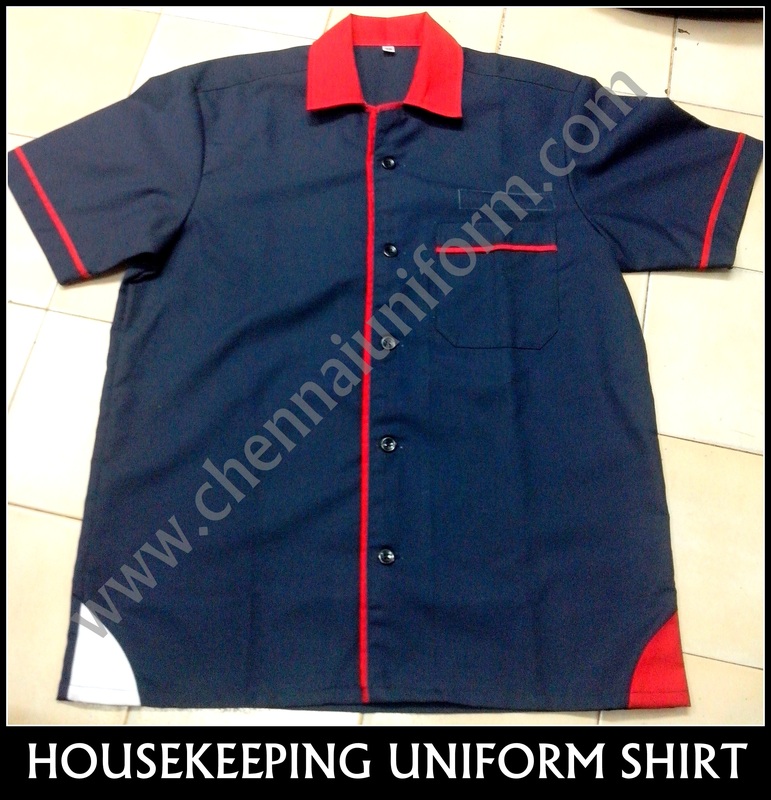 Uniform Shirt for drivers, security and housekeeping in Chennai !! Uniform shirt for security guards, for housekeeping staffs and for drivers can be customized and made according to your requirement by RSM uniforms in Chennai. 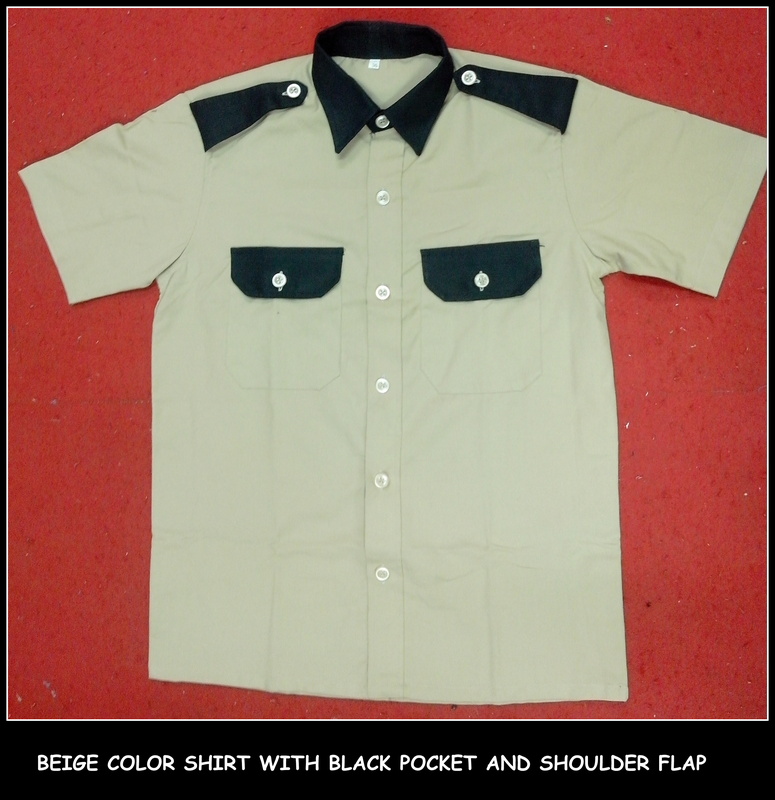 We display here one of the shirt made in beige color with pocket and shoulder flaps in black. This shirt is made for a call taxi company in Chennai and is made of poly/viscose material. RSM Uniforms Oswal shade card has various colors displayed. We can make shirts for any category of people based on your requirement. Please call us at 9176634635. For more details on uniforms in chennai read our blog at http://www.chennaiuniform.com and to make a enquiry online fill up the form at our website http://www.chennaiuniforms.com. It would be a pleasure to help you.